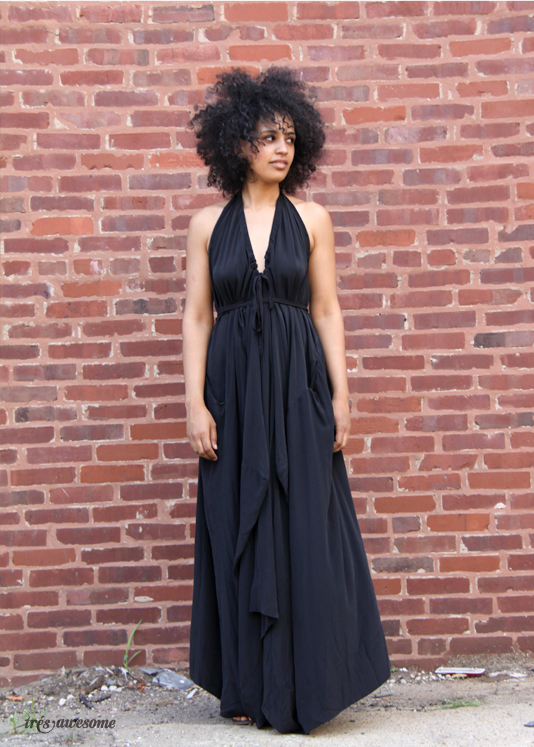 Kelli looks stunning in this AllSaints dress with her crazy curls. She works at the recently opened All Saints store here in Chicago on Michigan avenue. I fell in love with this dress when I took Kelli's photo and AllSaints was nice enough to give me one exactly like it. Thanks AllSaints, you guys rule. This Chicago Street style was captured outside the All Saints Pop Up Shop near Union Park. Ha, I knew it was AllSaints before i even read it. Love it. I saw a picture of you in this dress and you looked amazing! So does Kelli! You can totally borrow it! It would look amazing on you.